Before setting out the horizontal stabilizer, read the plans very carefully and lay out all the parts first as this is one of the most complex constructions I have attempted to date. Cut to lengths as per the drawings and set them out prior to drilling. TIP: Make plenty of room on the workbench to construct both stabilizers. Drill all the holes and use clecos to hold the parts together but don't rivet any pieces until both horizontal stabilizers have been fitted into place to allow for changes in the angles. The two stabilizers have been cut an drilled ready for adjustment once they have been lifted into position. 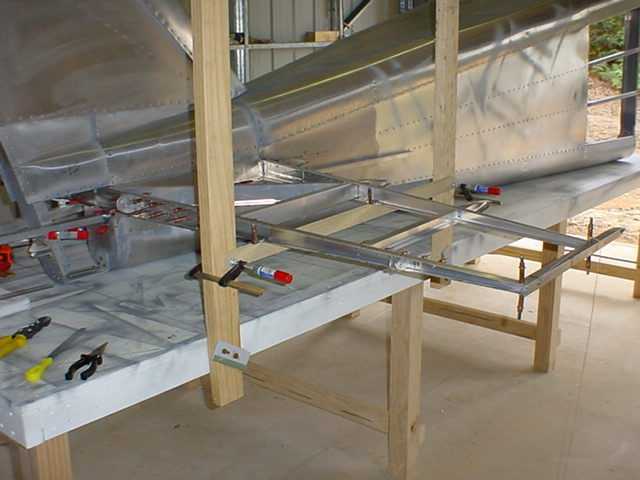 The next stage is to make up temporary frames and fix them to the bench so the stabilizers can rest on the frame at the correct angle to the fuselage and workbench. TIP: While this process is long and tedious, however don't rush the construction as it is important to make sure the trailing edge is perfectly straight from one edge to the other and the end sections are parallel to the workbend, i.e. at right angels to the centre line of the aircraft fuselage. 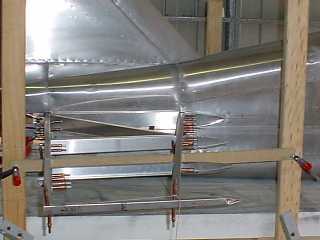 To assist in the construction of the horizontal stabilizer, build a temporary frame on both sides of the fuselage to support both stabilizers to the measurements above the workbench as specified in the drawings and it will also keep the stabilizer at the correct angle from the leading edge to the trailing edge. TIP: Before using clecos to clamp both stabilizers to the support frames, run a string line from stabilizer tip to the other stabilizer tip so the trailing edge remains aligned. 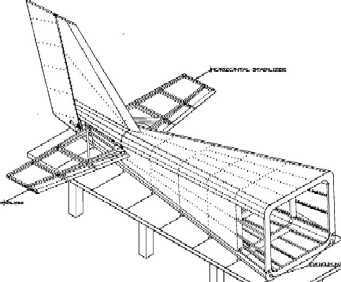 The support frames on both sides of the fuselage will allow you to adjust the horizontal stabilizers to the angle and in my case, I had to adjust several of parts so the edges remained at right angles to the trailing while fitting tight against the fuselage. TIP: Don't drill all the parts until both stabilizers have been fitted, aligned and checked to make sure they are in alignment. 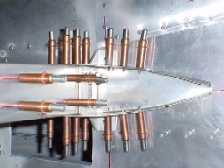 Adjust measurements to all parts so the horizontal stabilizer bracket is in-line with the metal fuselage frame as this is what gives the stabilizer its strength. TIP: Use as many clecos as necessary to hold components into place making sure both stabilizers are kept aligned, at the correct angel to the workbench as well as the centre line drawn along the side of the fuselage. This takes time, but it is important to spend the time so when they horizontal stabilizers are finally fixed to the aircraft, no further adjustments will be necessary. Time to start riveting both horizontal stabilizers after pulling them apart, deburring, wiping clean, spraying all surfaces that come into contact with each other then putting all the parts back together again. I will wait until the cabin is completed and attached to the fuselage before fitting the skins to the stabilizers, however all attachement holes have been drilled. TIP: Make sure all parts are secured to the support frame and square to the trailing edge before starting to rivet, this way the horizontal stabalizer will remain true. 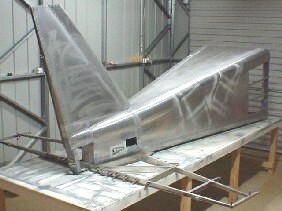 With the two stabilizer bolted into position and aligned according to the drawings, mark out and drill the top skin then use it as a template for the bottom skin, then clamp them into position on the stabilizer frame drilling the holes and clamping with clecos from the fuselage out toward the tip, this will ensure the skin remains tight against the frame. TIP: Only trim the edge that fits against the fuselage, leave the others as these can be trimmed when everyting is in place. Don't rivet until the elevator has been constructed. The marking out and fitting of the leading edge will take some time as it has to fit around the supporting barcket that holds the stabilizer into position, then start drilling from the fuselage out toward the outer edge so it remains a tight fit against the support bracket. 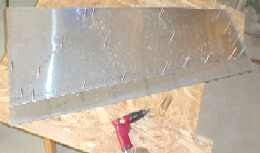 TIP: Only trim the edge the back and side edges once you have a perfect fit against the fuselage. Don't rivet until the elevator has been constructed.